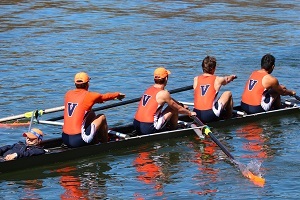 Virginia Rowing represents the University of Virginia at races all over the United States and even in Europe. It recruits high school athletes as well as on-Grounds athletes. Those recruits range from high school rowers who have won scholastic national rowing championships to those who arrive on Grounds having never seen a rowing shell.